INDEPENDENCE, Ohio, January 17 — The Brotherhood of Locomotive Engineers and Trainmen (BLET) has secured another significant victory for rail workers — this time from the highest court in the United States — in the Union’s ongoing campaign to protect two-person train crews. On January 9, the United States Supreme Court denied a petition filed by the Wheeling and Lake Erie (W&LE) asking that the nation’s highest court review and set aside the 2015 finding by the Sixth Circuit Court of Appeals that the railroad’s use of managers in place of Union conductors was a major dispute under the Railway Labor Act. 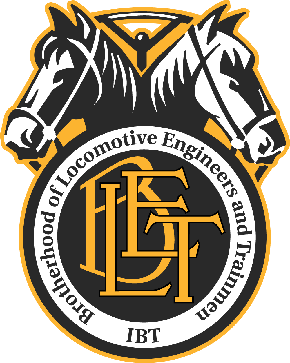 In September 2013, BLET National President Dennis R. Pierce authorized a strike by W&LE Conductors over the W&LE’s repudiation of Collective Bargaining Agreements that cover the locomotive engineer and trainmen operating crafts. Specifically, the Carrier ignored longstanding crew consist agreements and operated single-person operations, refusing to assign available conductors, in an effort to eliminate Trainmen. When W&LE challenged the strike, a federal district judge issued an injunction on the ground that the dispute was “minor” and had to be arbitrated. BLET never wavered in its position that the refusal to call Conductors was an outright contract abrogation warranting a strike, and appealed that ruling. In April 2015, a unanimous three-judge panel for the U.S. Court of Appeals for the Sixth Circuit agreed with BLET and reversed the lower court. The panel found that W&LE’s “claim that the Trainmen Agreement allowed it to man trains without union conductors is frivolous or obviously insubstantial, and the dispute is major.” The Court of Appeals vacated the injunction and remanded the case back to the District Court with instructions to dismiss W&LE’s complaint. The Carrier then tried unsuccessfully to get the entire Court of Appeals to vacate that decision. Most recently, and in a last ditch effort to gain the right to ignore its agreements with BLET, W&LE petitioned the Supreme Court to take the case. BLET filed a brief in opposition, supporting the decision of the Court of Appeals, and on January 9th, the Supreme Court rejected W&LE’s petition. Consequently, the “major dispute” holding stands, vindicating the Union’s position that if W&LE wants to change the rule, it must accomplish the change at the bargaining table, not by unilateral action. “I must first thank our members on the W&LE for helping us fight to preserve the Conductor’s job and for standing strong against the Carrier’s attempts to implement one-person trains,” President Dennis Pierce said. “When the decision was made to strike the W&LE, our members were united in their resolve and stood shoulder to shoulder on the picket line,” he continued. “This final decision by the highest court in the land reminds us all of the importance of strong contract language, followed by strong union activism to protect our contracts. The now unimpeachable decision of the U.S. Court of Appeals for the Sixth Circuit is not only important for our W&LE members, but for all operating employees and rail labor in general. The nationwide fight over operating crew size is far from over, but this victory helps to ensure that union contracts requiring two crew members are enforceable by the union, even to the point of a strike. “I also want to thank General Counsel Mike Wolly and his team for preserving this critical court victory on behalf of our members,” President Pierce added.